The Old Spice Classic (bracket here) has quietly established itself as one of the premiere preseason tournaments in college basketball. It might not be as prestigious as the Madison Square Garden tournaments or as exotic as Maui, but it offers up some quality early season basketball. This year’s field has some very strong teams, though it might be just a notch below previous year’s. 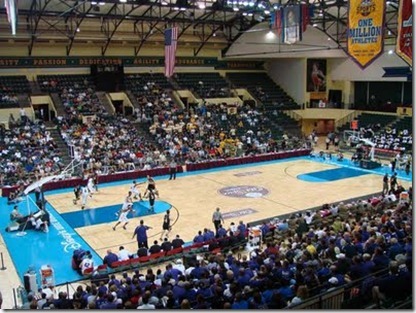 Rather than play a couple patsies at home, every team plays three games at the Disney Milkhouse. The benefit of the Old Spice is that because all games are played in Orlando, every team gets a pretty significant RPI boost from the neutral court games. Michigan’s side of the bracket includes Creighton, Xavier, and Marquette — three quality programs who are all probably in a little bit of a rebuilding mode. The other side of the bracket is headlined by hometown Florida State along with Iona, Baylor, and Alabama. The tournament begins on Thanksgiving Day and Michigan will start the festivities with their noon tip off against Creighton. Michigan has a very interesting draw because all three of their games are “winnable” but they will all provide Michigan a significant challenge. There is no 1,000 pound gorilla that Michigan will have to knock off like last year’s 2K classic, just three solid teams. This creates an interesting scenario for putting together expectations. Vegas is picking Michigan to win the whole tournament but I think a 2-1 weekend would be extremely successful for this team. Here is an early look at the other seven teams in the tournament. Most of this was written before the season and doesn’t focus much on early games except where noted. Creighton has established themselves as a Missouri Valley powerhouse. Dana Altman has finished in the top 4 of the MVC for the last 12 years. Creighton was a bubble snub last year (after playing a sub-par non conference schedule) before bowing out of the NIT to Kentucky. The Blue Jays lost a pair of starters to graduation including scoring guard Booker Woodfox (MVC player of the year) and setup man Josh Dotzler. The Jays were very deep last year though and they have no shortage of talent. Junior P’Allen Stinnet wasn’t nearly as efficient as Woodfox but the 6-foot-3 guard will be called upon to pick up some of the scoring load. Inside, Creighton will lean on a trio of functional big men in Kenny Lawson Jr., Chad Millard, and JUCO transfer Wayne Runnels. Their loaded incoming freshmen class is not bad either. Andrew Bock (video) was a 4 star recruit, Ethan Wragge chose Creighton over Marquette, and Darryl Ashford is a JUCO recruit that was a former Texas Tech commitment. In early season play, Wragge and Ashford have been the major contributors thus far. What Creighton lacks in top flight talent they make up for in numbers and coaching. There is little doubt that this Creighton team will be ready to play in Orlando. These games are the life blood of a mid major program like Creighton and they can be the difference between an NIT or NCAA bid. Style of Play. Last year’s Creighton team was very good on both sides of the turnover battle. They only turned the ball over on 17.8% of their possessions while forcing turnovers on 23.5% of their opponents. They shoot the three ball well (38%) and take just under 38% of their shots from long range. Expectations. Creighton has established themselves as a perennial power in the MVC and it’s clear that their fans expect an NCAA tournament berth year in and year out. It’s hard to call the expectation for this year’s Blue Jays anything but the NCAA tournament. The Bluejays looked impressive in their early season road game at Dayton. They lost the game but battled to the end against a very good Dayton team (that just beat Georgia Tech in Puerto Rico). We will have much more on Creighton in the coming week including an interview with the White and Blue Review. After back-to-back disappointing second round NCAA losses, Marquette might be due for a bit of a step back. The Golden Eagles were hit hard by graduation, losing a trio of dominant guards in Jerel McNeal, Dominic James, and Wesley Matthews. All hope is not lost for Marquette, Lazar Hayward has star potential and junior Jimmy Butler was very efficient in limited playing time. Not to mention Marquette’s 7 man recruiting class features plenty of talent. The class is headlined by Junior Cadougan, Jeronne Maymon, and Erik Williams. The bad news is that Cadougan, the Eagle’s expected answer at the point guard, is sidelined for the season with an Achilles injury. Marquette has rolled to a couple of easy early season victories and Hayward is averaging 18.5 ppg while Butler has added 20 per game. Maryland Eastern Shore and Centerary aren’t much in terms of competition though, it will be interesting to see how Marquette reacts against a tough Xavier team. Style of Play. With their dynamic backcourt Marquette was a unique team, they held onto the ball as well as anyone in the country but also lived at the line. They were an average shooting and rebounding team and generally average on defense as well. Expectations. With a significantly younger team and the lack of a true point guard it’s safe to expect Marquette to struggle a bit this year, especially early on. The Eagles still have a tremendous amount of talent and athleticism and are going to be capable of winning a lot of games. If I’m playing Marquette, I’d much rather play them in the 5th or 6th game of the year rather than the 25th. Sean Miller quietly created a top 20 program at Xavier. Not only has Xavier won three consecutive Atlantic 10 titles, they also established themselves in March beating power-conference schools such as Wisconsin, Purdue, and West Virginia while giving #1 seeds like Ohio State and Pittsburgh all they could handle in defeat. Things have changed dramatically in Cincinnati this summer starting at the top. Sean Miller has moved along to Arizona and 39 year old Chris Mack has taken the reins. Miller wasn’t the only departure, CJ Anderson and BJ Raymond graduated while Derrick Brown headed to the NBA draft. Dante Jackson, Jason Love and Terrell Holloway all averaged 5-7 ppg last year while playing around 20 minutes per game. These three will likely be called upon to take the next step and become more consistent options as starters. Kenny Frease is an x-factor for the Musketeers, the 7-footer was a top 50 recruit out of high school but only had four double digit games last year. There are also a number of intriguing additions ($) to this year’s Xavier squad including Jordan Crawford of “I Dunked on LeBron” fame, Mark Lyons, and freshman forward Jeff Robinson. 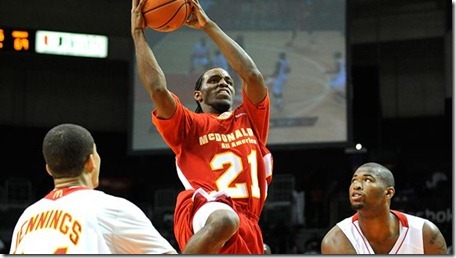 The leading scorer after two games is transfer Jordan Crawford who is averaging 19 points per game. Style of Play. Under Miller last year, Xavier played great offense and defense. Their field goal defense (43.5% eFG, 41.3% 2pt fg) and defensive rebounding were both in the top 20 nationally. On offense they did a tremendous job getting to the line and shot a remarkable 39.4% from three point range. Expectations. Growing pains will likely be minimal as Mack is an assistant from Miller’s staff and will probably try to minimize change. Xavier should be prepared to keep rolling despite losing three significant contributors from last year’s team. Incoming freshman Michael Snaer will provide a scoring punch for Florida St.
Last year’s Florida State team consisted of Toney Douglass and a supporting cast that consisted largely of underclassmen. Douglass was a special player who’s trophy case includes accolades such as ACC scoring title, 1st team all-ACC, and 1st team all-defense. Florida State was one of only 5 schools in the country with only one player who scored in double figures. Douglass is gone but Florida State has several potential replacements. A pair of sophomore big men, Solomon Alabi and Chris Singleton, were the number two and three scorers last year. They will no doubt continue to improve and provide Florida State with stellar interior play. In the backcourt, the player to watch is incoming freshman Michael Snaer. Snaer is a top 10 recruit nationally and the 6-foot-4 guard will look to fill the scoring gap caused by Douglass’ departure. Style of Play. Florida State was dominant on the defensive side of the ball last year. Their interior defense was strong and they had a top 15 defensive efficiency in the country. Expectations. Florida State loses Douglass but with the addition of Michael Snaer they are still a force to be reckoned with. Florida State will be young but talented enough to make some noise late in the season. Last year’s Baylor team was up and down to say the least. They had some nice wins (Washington St., Arizona St, and Oklahoma St.) but they imploded in the middle of the Big 12 season, losing 10 of their last 12 conference games. They got it together in the conference tournament, stringing together three straight wins including Kansas and Texas. They rolled on to the NIT where they rattled off 4 straight wins before falling to Penn State in the NIT championship. Baylor loses a trio of starters to graduation in Curtis Jerrells, Kevin Rogers, and Henry Dugat. Jerrells will be missed the most, the 6-foot-1 guard averaged 16 points, 5 rebunds, and 5 assists per game. Baylor brings in a solid freshmen class highlighted by four-star recruits Nolan Dennis and Cory Jefferson. 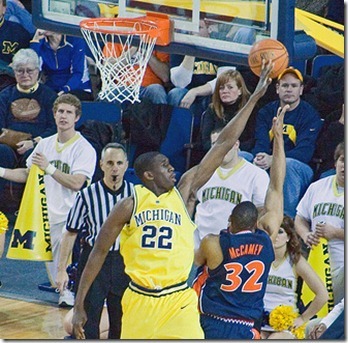 Former Michigan center Ekpe Udoh is also eligible to play this year. Udoh has had a couple monster games early on and also hit the buzzer beating game winner against Hartford. LaceDarius Dunn provides the bulk of the scoring but he has never seen a shot he didn’t like. Dunn fires up tons of shots and only had 2 assists in all of Baylor’s Big 12 season last year. Style of Play. Baylor was a very good offense team last year. They ranked in the top 15 in adjusted efficiency and shot the ball very well (52.8 eFG%) and shoot a lot of threes (40.1% 3PA/FGA). Their defense last year was run of the mill in just about every category but you can be sure with Ekpe’s addition that they will block plenty of shots next year. Expectations. LaceDarius Dunn and Tweety Carter will provide the bulk of the returning scoring. Both love the three point shot and shoot it at a high level. Overall Baylor definitely has some talent but they also have plenty of question marks. There is no telling how far along this young team will be in a November tournament. Last year’s Alabama team was under .500 in a decidedly mediocre SEC. They lose Alonzo Gee to graduation, the 6-foot-6 guard averaged 15 points and 7 rebounds per game. Alabama’s 5-man incoming freshmen class is highlighted by Tony Mitchell and Shawn Kemp Jr. Senario Hillman (12ppg) and Mikhial Torrance will be some of first options in the backcourt while JaMychal Green had a big freshman year (10 ppg, 7.5 rpg) in the front court. Alabama wasn’t very efficient on offense last year but they did crash the glass, rebounding 37.6% of their misses. On defense they defended the three point shot very well but weren’t very good on the defense glass. Style of Play. 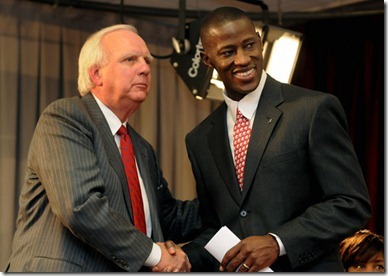 Adding Anthony Grant to the mix will undoubtedly change the image of Alabama basketball. Grant’s VCU teams were known for their tenacious defense at VCU and consistently wreaked havoc in NCAA tournament play. Expectations. It’s hard to expect a step up after graduating your best player but there is one huge reason for optimism in Tuscaloosa: Anthony Grant. Grant is a tremendous coach and there is little doubt that he will build a winner at Alabama. The only issue is how long will it take. Michigan fans know all too well that the first year under a new coaching staff is not always a fun experience. Iona is easily the worst team in the tournament. They lose two of their top three scorers, including their only double digit scorer, to graduation and even respectability looks a long ways off. Iona’s best win was a road win over Niagara and about the only thing they did well was get to the line. The lone bright spot of last year’s team was freshman guard Scott Machado who averaged 9 points per game. Barring an impressive turnaround, 0-3 looks like the likely fate for Iona in Orlando. Check back for more Old Spice Classic coverage over the coming week.